Anaheim, CA (August 14, 2018). 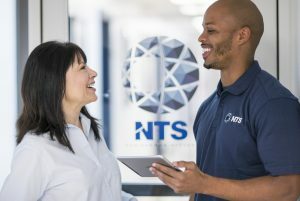 National Technical Systems, Inc. (“NTS”), the leader in qualification testing, inspection, and certification solutions in North America, is excited to announce the opening of its new Corporate Center in Anaheim, CA. The Corporate Center expands the company’s presence in the City of Anaheim, which is already home to one of NTS’s 27 laboratories. The new center integrates corporate functions from Calabasas, Fullerton, and Brea offices into a single location. The move is aimed at streamlining efficiencies and building an infrastructure to support the company’s projected growth in the years ahead. 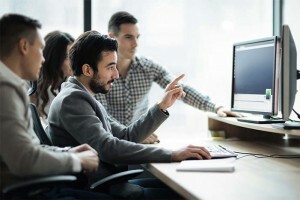 The center now houses Finance, Accounting, Marketing, Procurement, Human Resources, Contract Administration, and Information Technology personnel in a single environment to support the company’s projected growth. NTS joins a prominent business community in Anaheim, which is home to Disneyland, MLB’s Los Angeles Angels, and NHL’s Mighty Ducks.